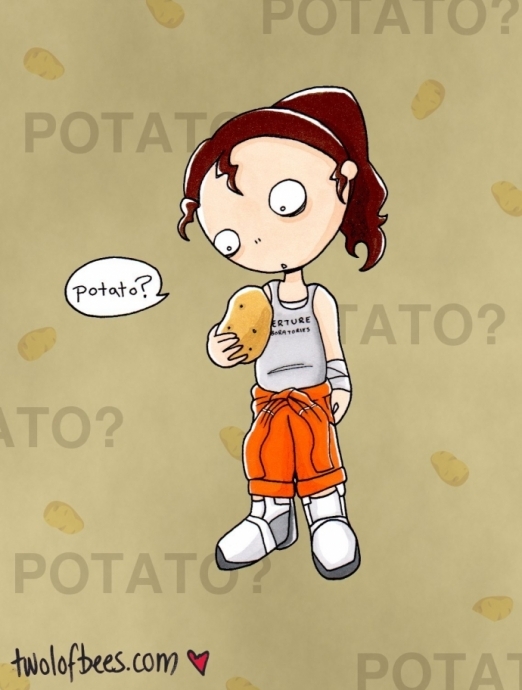 I'm not sure about all this potato stuff that's been going on surrounding the upcoming release of Portal 2. Neither is Chell. Ooh, I didn't notice how much of a favourite this one had become.